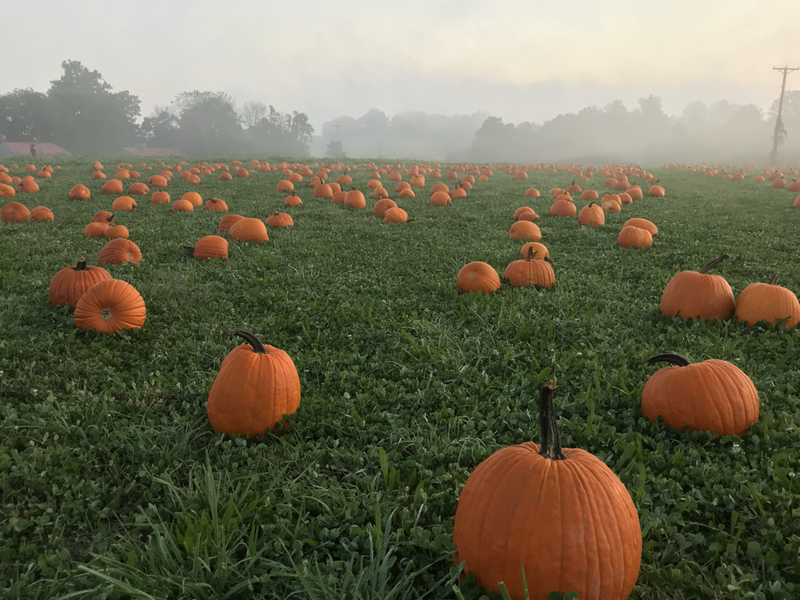 Looking for a U-Pick pumpkin patch in southeast Ohio? We specialize in large carving pumpkins, pie pumpkins, decorative pumpkins, and outdoor fall decorations. Come and check us out! The Patch is Closed for the Season Due to the Weather. Hutchison’s Horse Drawn Wagon Rides are cancelled Today. We are closed for the 2018 season. See you next year! Pie pumpkins - great for making that homemade pumpkin pie! Check out our new sales and wedding barn! The Ford Jubilee still does its fair share of work around the farm. 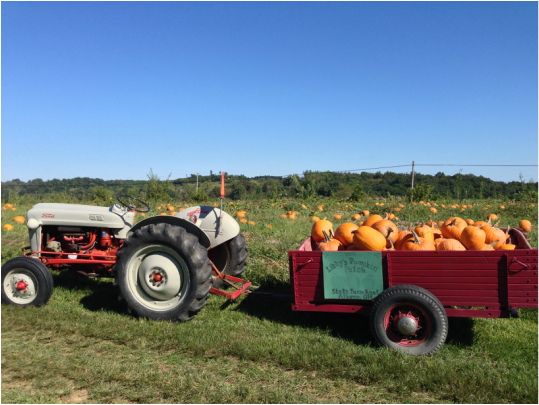 It's perfect for hauling in our pumpkins. Come visit us in the fertile, rolling hills of Meigs County, Ohio. We are only 3.7 miles south of Albany and 15 minutes from Athens and Ohio University.